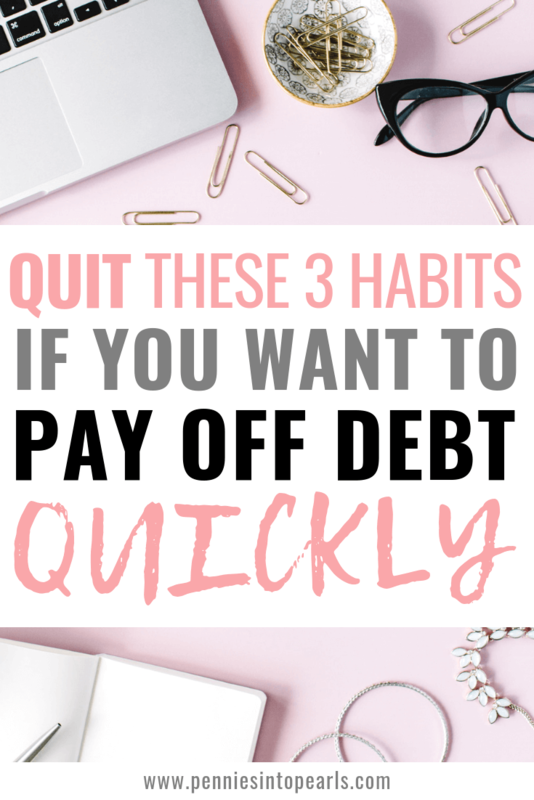 If it isn’t already, paying off debt needs to become your number one priority! When you live with debt, you are literally risking the roof being stripped away from your family. Living with debt is making you rely on someone else’s money for survival. It’s time to become more self reliant and start paying off debt! 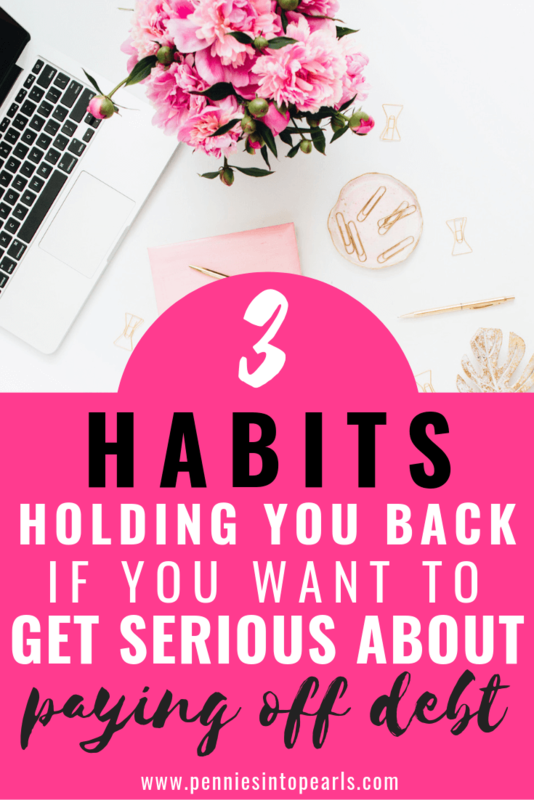 You probably don’t even realize it yet, but chances are you are living with a few subtle habits that are eroding the stepping stones for you to start paying off debt. Let’s shine some light on those habits to help you quit! Back in 2012 there were two major goals hubby and I wanted more than anything! 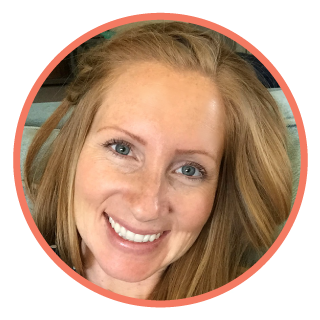 We wanted desperately for me to be able to quit my job to be a stay at home mom. We wanted to buy our first home in one of the most expensive cities in the country in order stay close to family. The problem was that we owed over $20,000 in debt and those payments we were making made it impossible to put money into savings. That’s when we realized we couldn’t move forward with any of our life goals with that debt weighing us down! That is when becoming debt free moved to priority numero uno! You can read more about our debt free journey here. After a couple years of trial and error, we realized we had a few bad habits that needed to be broken if we wanted to get ahead of our debt! 1.Stop fighting about money with your spouse! First and foremost, you need to get on the same page about finances with your spouse! You both need to have a clear picture of where you want to go. If you don’t know where you want to go then it’s impossible to know which path to take! That is why so many couples can’t seem to look eye to eye when it comes to their finances. Sit down together and write out all your dreams for the next 1, 5, and 10 years. Then come together to figure out your financial action plan to start making those dreams a reality! Once you both realize that these financial steps are actually getting you closer to what you both prioritize in life, it’s a lot easier to stay motivated and pay off that debt! I created a Financial Unity Workbook to help you through this process quickly and painless. 2. Stop eating out and start meal planning! You’re gonna need to find some extra cash to start suffocating that debt. The fastest way to find that cash is to take a look at how much you are spending on food each month! CNBC last year reported that the average American household on average spends over $3,000 a year on eating out! Crazy! That doesn’t even include how much food waste (which equals wasted cash!) is happening within the home. How much faster would you pay off your debt if you had an extra $3,000 this year? And that’s just the start! Meal planning is the fastest way to cut back on eating out and to save money on groceries! I sure hope I don’t need to tell you this but if you want to start paying off debt, it’s going to help tremendously if you stop building more and more debt. So just stop it! The other plastic we are talking about here would be your debit card. If you have a hard time sticking to your budget, then switching over to a cash envelope system could be a game changer for you! It has been statistically proven that shoppers spend less money when they use cash. That has turned out to be 100% true for our family. Before we switched to cash we thought we had a budget in place but every two weeks we would overdraft our bank account! But after we switched to our cash envelope budget it was like magic! We could stick with it! Sticking to your budget is going to be paramount when it comes to paying off debt for your family! Using cash is going to help you get there! What is your biggest challenge when paying off debt? What seems to be your biggest hurdle to face when it comes to getting rid of your debt? Do you feel like it’s even worth it to be debt free? Let’s chat about it in the comments!